Dear Fisher Price: Thanks, Boo. 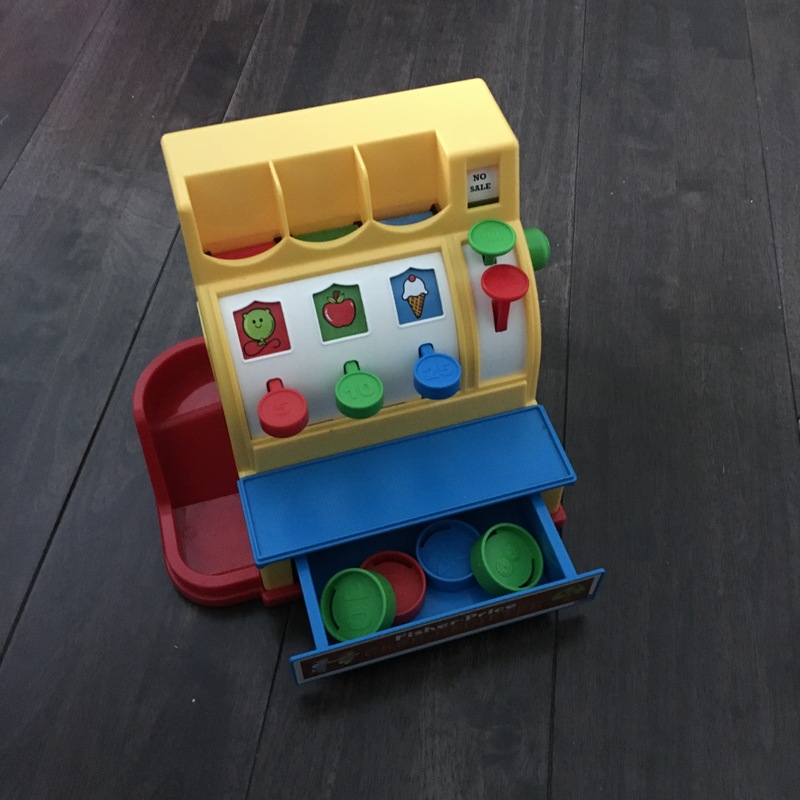 One of her favorite new toys is her vintage-inspired Fisher-Price cash register. These days she mostly enjoys popping in the coins and pushing the buttons, but I can see the potential for plenty of imaginary play in the future. Every single kid that comes over to play gravitates to that cash register. All of them. And some of the adults. By mid-July, we were down to two coins. (The cash register comes with six.) No one was surprised. The ToddlerMonster relocates things like its her job. Every kid that comes over fights over plays with this toy. PLUS the new kitten is obsessed with the coins. I have literally seen her reach her little paw into the drawer and bat out a plastic coin and then carry it away in her mouth. I didn’t have to provide proof of purchase or anything, which is good, since the cash register was a gift. So, um, live your life however you like. But just know that you can email Fisher-Price about your cash register coins and they might send you a gift certificate for a free toy. I’m actually not trying to help the world defraud Fisher-Price. I really just want them to manufacture and sell packs of replacement / additional coins for this super cool cash register!! But I can’t control other people. Yet. I couldn’t use the voucher online and it was a pain to use at Target, but the Target cashier eventually overrode something and made it work. 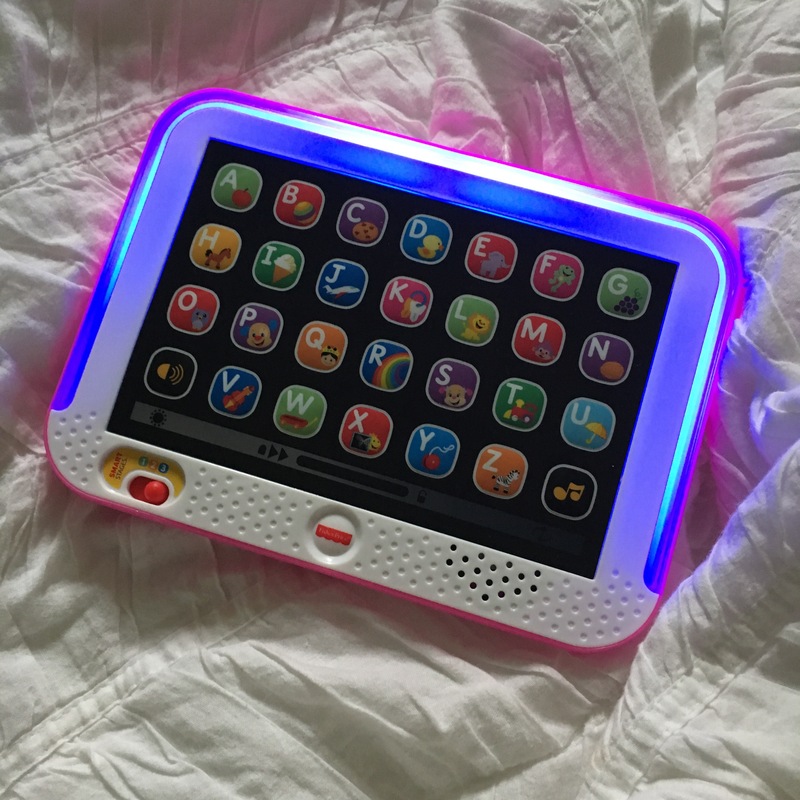 Babystar chose a $14.99 “iPad”, and I didn’t get any cash back or anything. But hey! FREE TOY! Babystar loves her iPad and keeps it by the bed with a pile of books. 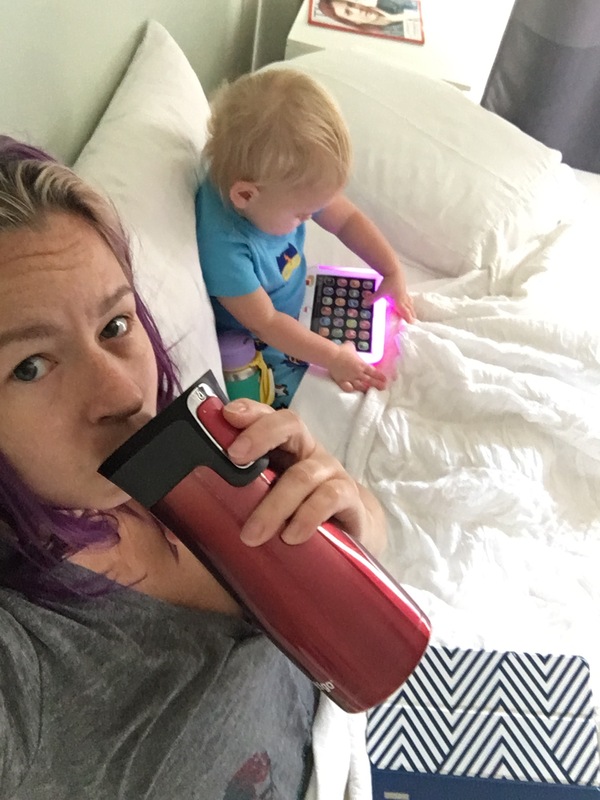 Most mornings she will play with the iPad and read books and drink her Unicorn Water while I have my coffee. WHICH IS AMAZING SHE TOTALLY WINS TODDLER OF THE YEAR. At least in our house, where the competition is admittedly slim. 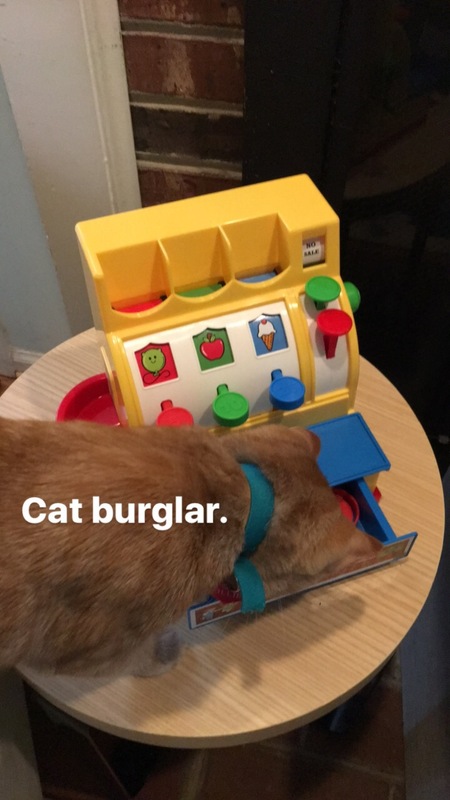 PLUS, once we figured out that the CAT was losing the coins and not the BABY, we had a better idea of where to look. The current coin total is five but it fluctuates daily.